The HOME for kickball competition in America. Kickball365 enables people to make friends and have fun through one-of-a-kind tournament vacation experiences. Kickball365 is about love of the game. The Circuit is about challenging yourself against the best. Our goal is to offer the country's most competitive teams and players a setting where they can showcase their hard work and talent and be rewarded for the time and effort that they invest in this sport they love so much. 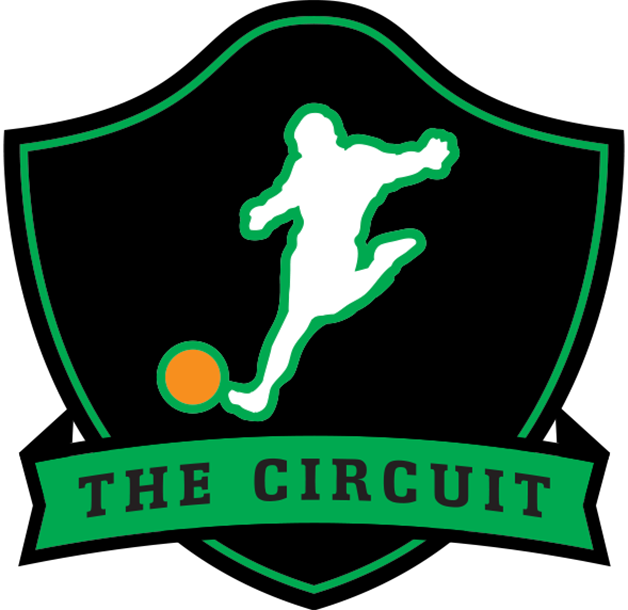 The Circuit is a national collection of tournaments, offering players and teams nationwide the chance to compete for cash prizes along the road to the ultimate prize, The Circuit Cup Championship Weekend, which is awarded to the top competitive kickball team in the country. WHO CAN ATTEND A CIRCUIT EVENT? Anyone! All players are invited to compete in a Circuit Event on the National Tour provided the player is at least 21 years old at the time of registration, has adequate health insurance, and is properly registered on the roster of a team at the Circuit Event. There is no Team per-requite to compete at a Kickball365 Circuit Event. Teams can register at any time before the deadline, pending availability. Players spots are secured only until they have paid for their registration. Those who plan to compete at the Circuit Championship Weekend are required to compete in at least one (1) Circuit Event on the National Tour. CAN I BE A FREE AGENT? There is no Free Agent category for The Circuit. Players are not eligible to transfer for the sole purpose of the Circuit Championship Weekend. If a Teams roster has not reached the minimum requirement of having ten players (6 males & 4 females OR 10 females) registered by the deadline, then the previously approved Team spot will be rejected, and the team will be ineligible to compete at the Circuit Event. Players who had registered will be given a full refund and will not be eligible to transfer to another team to compete at the Circuit Event. Kickball365 will, in its sole and absolute discretion, allow for a 100% refund of a player registration up until the point of the registration deadline. No Refund will be granted on or after the registration date (no matter what the circumstances). Entry fees are non-refundable and non-transferable after the deadline. No exceptions. WHAT IS A CIRCUIT EVENT? A Circuit Event is a Kickball Tournament hosted by Kickball365 with the support of a local independent contractor. Expectations of a Circuit Event include: Friday Social Event, Saturday Tournament, a Saturday night After Party, and a Sunday Tournament (only on dual weekend events). The number of games offered at a Circuit Event may vary depending on the number of teams attending a tournament. WHAT IS THE NATIONAL TOUR? The National Tour is the series of Circuit Events held annually across the country in which registered teams compete for Circuit Points. Teams are seeded at each Circuit Event using the Official Circuit Ranking System (CRS). The Circuit Scoring System (CSS) awards points to registered Circuit teams to determine eligibility for the Circuit Championship Weekend and prizewinners for the year-long National Tour Standings. The Official Kickball of Kickball365 is a custom kickball manufactured by Baden Sports. The custom model used is a Baden Sports PG-10 with a unique numerical suffix. This is the only kickball that is allowed on the National Tour. Generic Baden sports PG-10 models will only be used on the National Tour in exigent circumstances. Can be found at http://register.kickball365.com/terms. All players of The Circuit agree to these terms for each event attended. For 2016, a Team competing in The Circuit at either the Co-Ed or Women's Division is allowed but not required, to have a maximum of two (2) Non-Playing Team Coaches. Non-Playing Team Coaches are required to register at no cost officially for the Circuit Event. This includes signing the same waiver that all players must sign. Additionally, Non-Playing Team Coaches must register prior to the Circuit Event registration ending. As a reminder, a Non-Playing Team Coach is allowed to engage with the Game Referees ONLY if they are wearing the required Captains Band during the Game. After registration is closed each team in attendance will be assigned a tournament seed. The tournament seed is determined by the Established Teams current ranking in the CRS. Note, New/Open Teams not given a pre-tournament rating, as there is no data with which to make such a determination, will be drawn randomly to complete the seeding. These defined structures provide greater transparency and manage expectations in cases (e.g. odd number of teams attending, limited field permit use, time concerns, etc). They are not 100% suited to every situation, and the Kickball365 will have the final say on each update and has the authority to make specific exceptions at its discretion in truly exigent circumstances. To seed for a Circuit Event, Kickball365 will take a teams averaged ranks (i.e. 1st, 2nd, 3rd) in each of the individual ranking systems ELO, FIFA, and RPI to generate their CRS Rankin to be used to seed teams at each Circuit Event during the National Tour Year. By contrast, the CIRCUIT SCORING SYSTEM (CSS), which awards points to registered Circuit Teams solely on their performance at Circuit Events, will be used to seed teams at the Circuit Championship Weekend. To claim Circuit Points earned on the National Tour Teams must register their Team for The Circuit. Franchise Owner are responsible for registering to claim Circuit points. Those who plan to compete at the Circuit Championship Weekend are required to do so. Once registered your Team will automatically claim Circuit Points earned and you will be listed in the Official Standings of The Circuit. CIRCUIT PLAYER REFERRAL PROGRAM FOR 2016! For 2016, the Circuit Player Referral Program is BACK! As a Team Captain you can identify up to two (2) of your friends, close contacts, co-workers, or anyone else who has never played in a Circuit event before and they will receive FREE ENTRY to their first event. This program allows for up to two (2) players PER TEAM per tournament. This program is for ONLY Co-Ed Division Circuit Events and not eligible for Women's Division Circuit Events or Social/Other Events at this time. Kickball365 will, in its sole and absolute discretion, allow for a 100% refund of a player registration up until the point of the regular registration deadline. No Refund will be granted on or after the regular registration date (no matter what the circumstances). Entry fees are non-refundable and non-transferable after the deadline. No exceptions. ROOKIE TEAM CHALLENGE IS BACK FOR 2016! Submit questions by emailing info@kickball365.com or visiting our FAQ. Check out this Kickball tournament 'New Orleans, LA - Big Easy Kickball Open (Women's Division) #BEKO2016' with The Circuit!